This recipe in MADE IN AMERICA is the one graces the cover so beautifully. It is also the recipe that has led me down a rabbit hole that resulted in both good and bad. 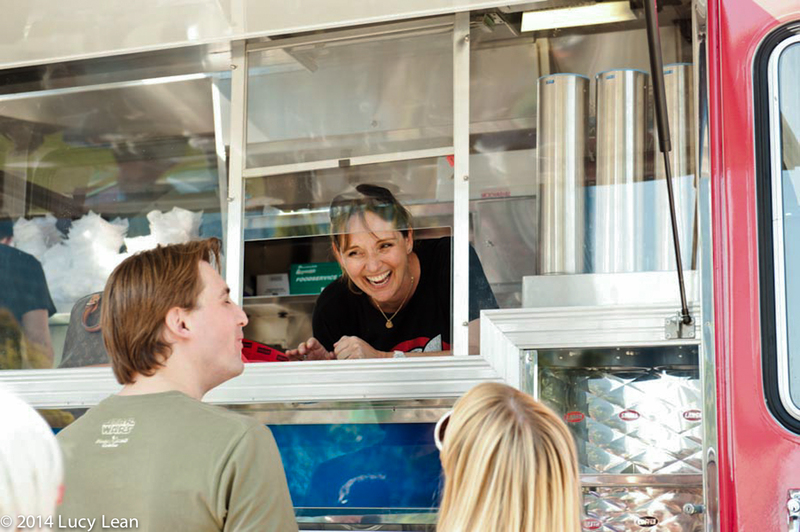 Back in the very early LudoBites days I was the editor of Edible LA and I was chatting with Shawna Dawson about her new festival for food trucks when I suggested she should do a gourmet truck. 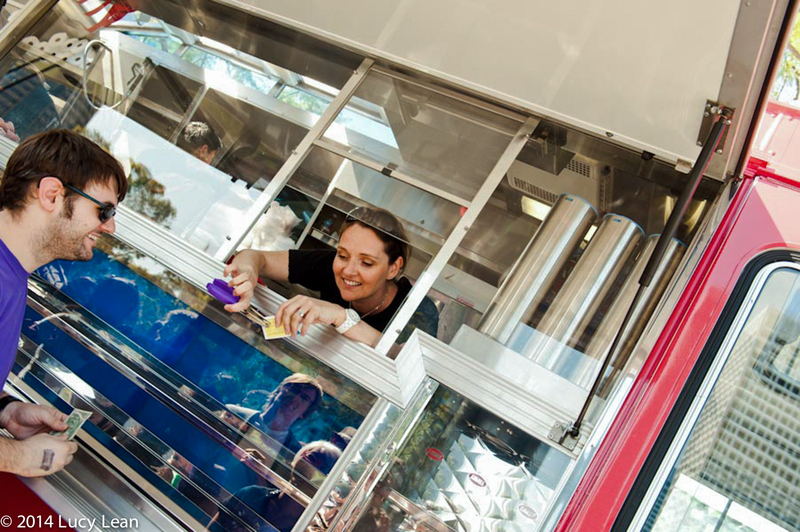 She loved the idea and so I called up Ludo to ask if he’d like to do a pop-up truck for one day at the inaugural Street Food Festival. The answer came back immediately that he would love to, on one condition – I worked the truck. Gulp! Well that was the first and definitely the most smelly of my collaborations with Ludo and his wife – the smell of fried duck fat lingered in my hair for days. Since then we went on to create the All-Star Chef Classic with Restaurant Stadium down at LA LIVE for AEG and before this she attended my Made in America Chef Fest event at the Four Seasons Resort Hualalai and from this came LudoBites Nine-O, both in Hawaii. 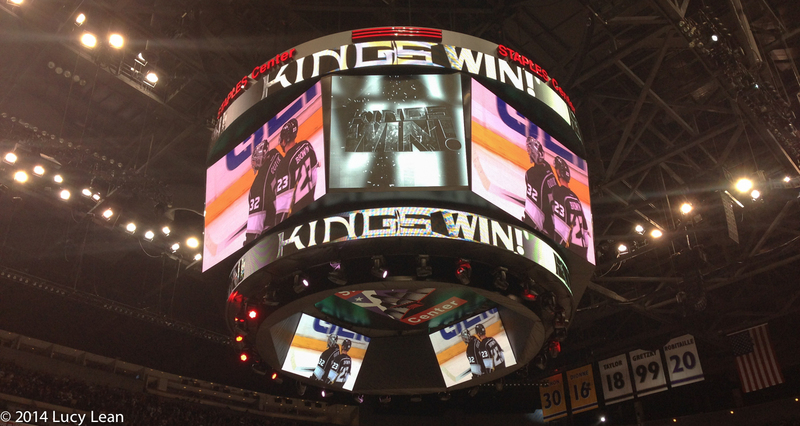 Last week I went to the LA Kings game – woo hoo! Go Kings! 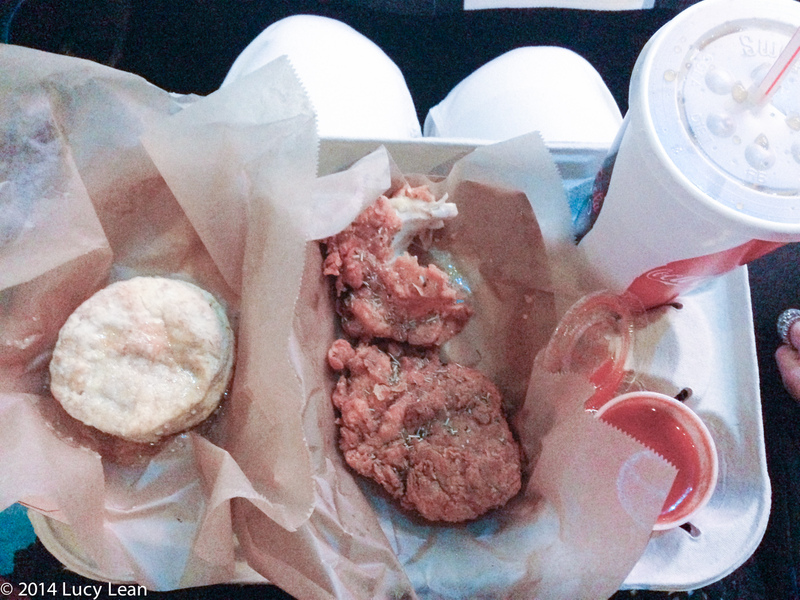 I only went for the chicken ; ) You can now get a version of this chicken at Staples Center at LudoBird. Oh and to chat with a famous TV actor from Modern Family, who could have been anyone sitting behind us since I never watch US TV (Eric Stonestreet). Let’s hope the Kings go all the way and win the Stanley Cup again – I was there the night they did it in 2012 and will make sure I find a way to get in when they do it again this year. In the meantime here’s the recipe for that chicken so you can cook up some at home. Ludo marinates the meat with Asian ingredients and infuses it with a depth of flavor that elevates this American classic into a gourmet marriage of the chef’s French heritage and culinary traditions from further a field. The resulting golden, crisp-coated, succulent pieces of white and brown meat are served simply with a sprinkling of herbes de Provence and a spicy red dipping sauce. 1. In a large saucepan, combine the piquillo with raspberry vinegar, sugar and salt. Add 2 cups of water. Bring the mixture to a boil, then reduce to a low simmer. 2. Cover and cook for 1 hour, stirring every 10 minutes. The liquids will be reduced to a syrupy consistency. 3. Carefully blend the piquillo mix in the blender until it is completely smooth, adding water as necessary. 4. Once the mix is completely puréed, gently stir in the Tabasco and white pepper by hand. 5. Set aside and reserve in refrigerator. 1. In a bowl, combine the soy sauce, sesame oil, chili oil, chopped ginger and garlic; mix with a whisk and set aside. 2. Clean the chicken. Cut the chicken breasts in half, leaving the skin on. 3. Cut the chicken leg into two pieces at the joint, leaving the skin on. 4. Put the cut chicken in a big bowl, add the marinade, and toss to coat. Let the chicken marinate overnight in the refrigerator. 5. On the next day, remove all the chicken meat from the marinade. 6. In a saucepan, heat the duck fat slowly over medium heat to 320 F.
7. Place the chicken legs in a bowl, and lightly toss them with half the cornstarch. 8. Place the coated chicken legs in the duck fat, and let cook about 12 minutes (check temperature of meat with meat thermometer to ensure interior cooked to 160F). Remove the legs from the duck fat, and place on paper towels to drain. Season with herbes de Provence, salt, and pepper. 9. Repeat steps 7 and 8 for the breast pieces with the remaining cornstarch. 10. Serve chicken hot with the piquillo ketchup as a dipping sauce. 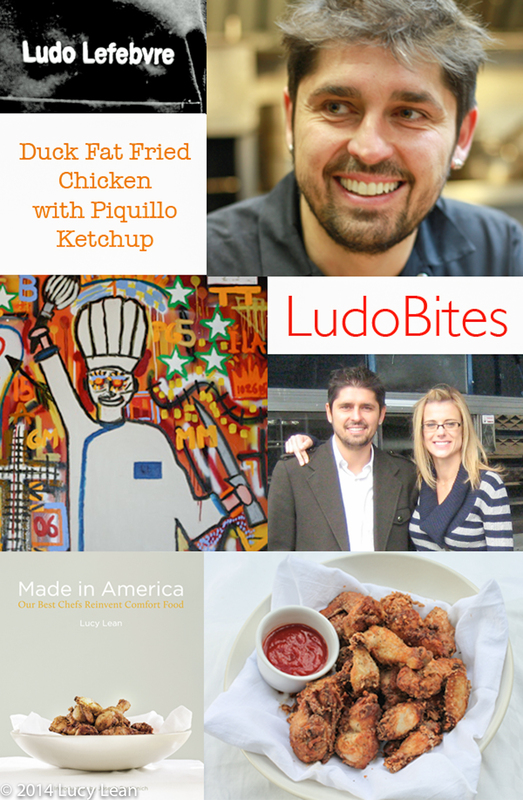 For this and more exciting recipes please think about buying a copy of my book MADE IN AMERICA, Our best Chefs Reinvent Comfort Food – you’ll be glad you did and so will I!